Part guidebook, part memoir, this collection of park descriptions and poems will take you on a beautiful, nature-filled journey through the Midwest and mid-life. 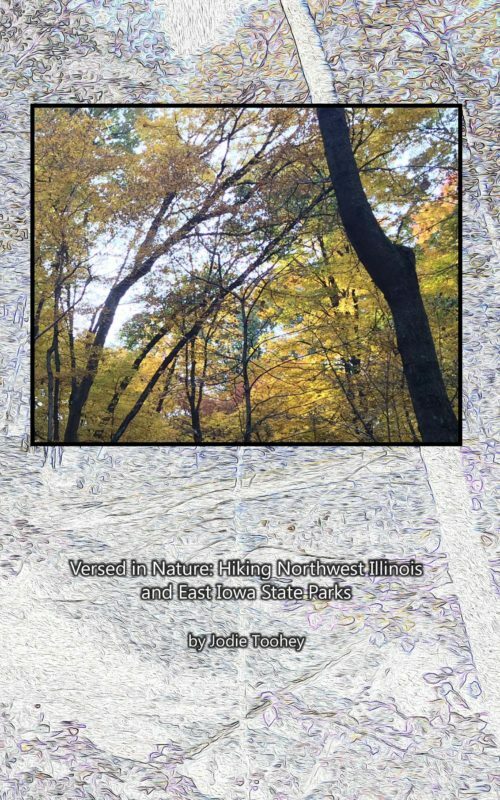 Come along with Jodie Toohey as she hikes some of the trails in eastern Iowa’s and northwestern Illinois’ state parks. Part guidebook, part memoir, this collection of park descriptions and poems will take you on a beautiful, nature-filled journey through the Midwest and mid-life.